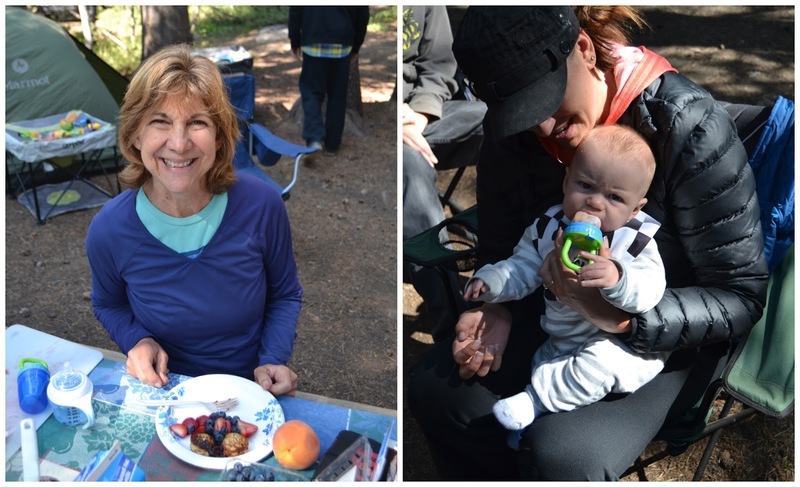 I know, you thought I was done with these Tuolumne posts...this is the last one, I promise. As a special treat this year, my mom brought my Grandma Norene's ebelskiver pan camping. Growing up, my Grandma always made them for breakfast on special occasions and on our family reunion camping trips. I'm sure most people have never heard of them, Andrew hadn't, but it's like the best possible version of a pancake. A fluffy, pancake ball, if you will. Ebelskivers are Danish pancakes in the shape of a sphere. Because of the beaten egg whites, they are the perfect, fluffy consistency. 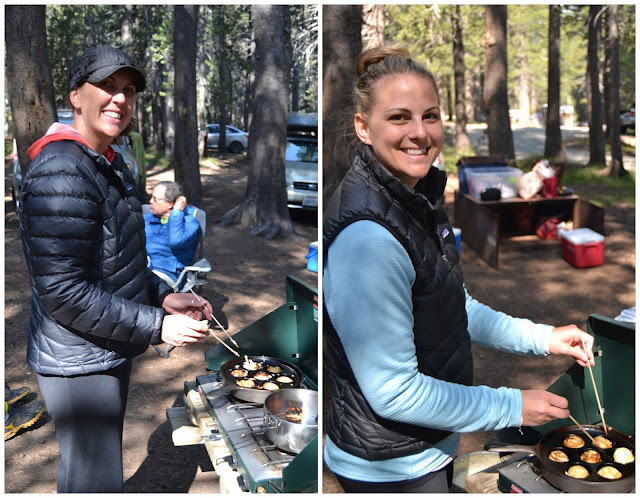 My mom had everything ready, and portioned out into bags so they were surprisingly easy to make while camping. I was in charge of beating egg whites. Which, sounds boring, but the vintage hand mixer made it fun :) We used my Grandma's recipe, but this one sounds similar. I'll try to remember to get a copy of our family recipe from my mom and share it with you. It was so much fun making these in camp. My mom even made a few stuffed with fresh raspberries, which were delicious. My favorite way to eat them is split open, with my mom's homemade jam stuffed inside. This year she brought her blackberry-nectarine jam, which was perfect. My cousin invented a nutella and fresh strawberry combination, which did not disappoint. And there is always the classic, syrup and powdered sugar. Traditionally they are served with jam and powdered sugar. 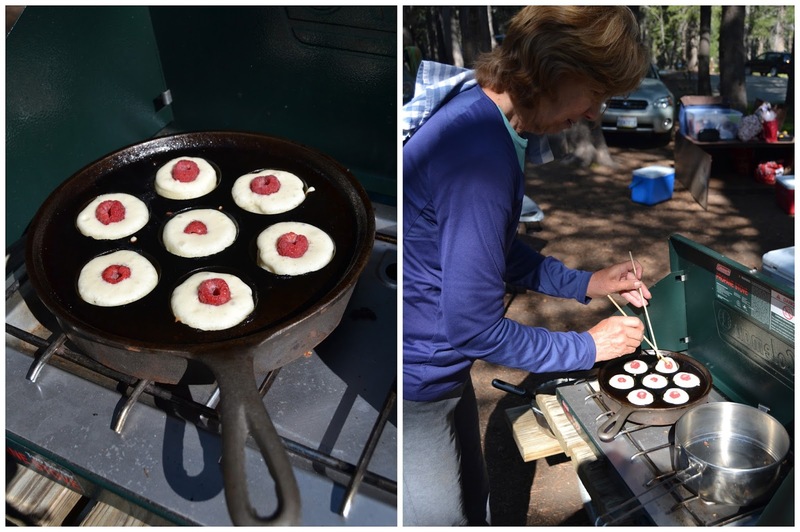 Have any of you had ebelskivers before? Or even heard of them? 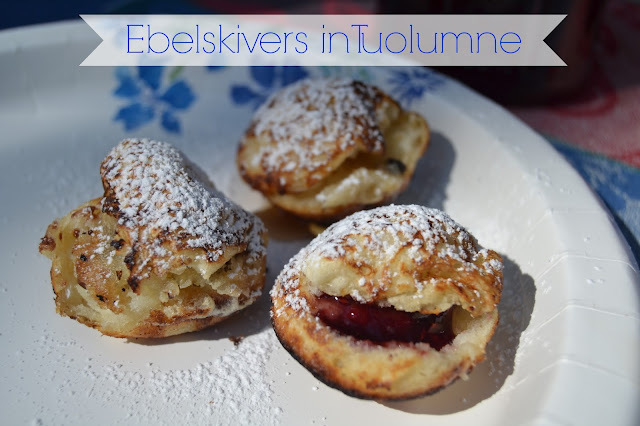 If you have a ebelskiver pan, or ever see one at a thrift store, I recommend swooping it up as fast as you can! I think these should be a breakfast tradition for special occasions in every family! once off the cleanse these might be my first weekend brunch must have!!! Someone bought us one of these pans for our wedding and I had no idea what to do with it. Well now I do! Those look so delicious! I have never heard of them but will definitely have to try them in the near future. Thanks for sharing & thank you for your sweet comments on my blog! 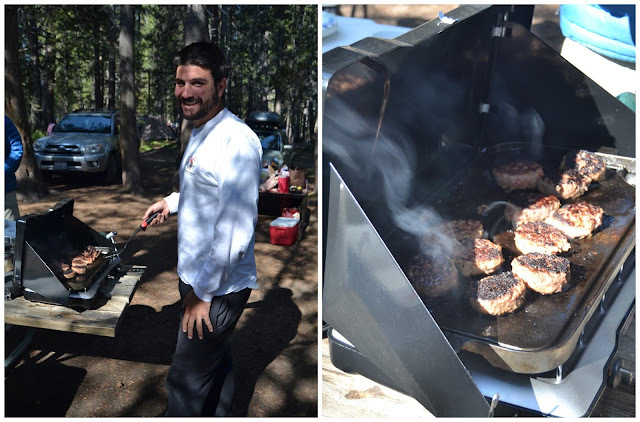 Look at you guys getting all fancy with food while camping! That's so awesome and it sounds super easy. Thanks for sharing, I'll have to try it next time we camp. From Foothills to Fog Makeover! !